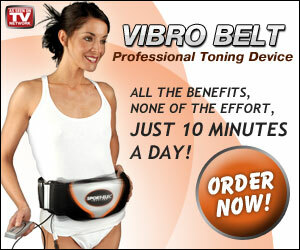 The Vibro Belt professional toning unit is a high performance device that firms and strengthens specific areas of the body. Tone your abs, shoulders, thighs, calves and buns while you read, work or sleep in the comfort of your own home – nothing could be more convenient! Try it for one month before purchasing.